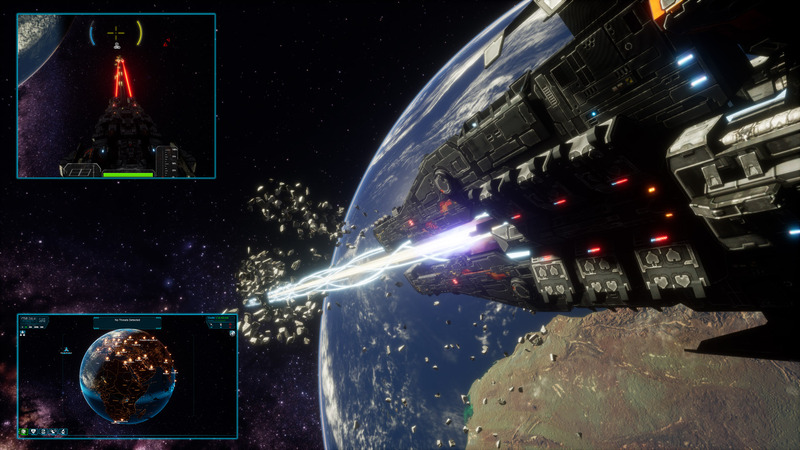 In this week’s update we look at the new Music system with blends done via FMOD, allowing for easy transitions between music tracks for low to high intensity combat, and also blending between the strategic PDI layer down to flight music while controlling a ship. 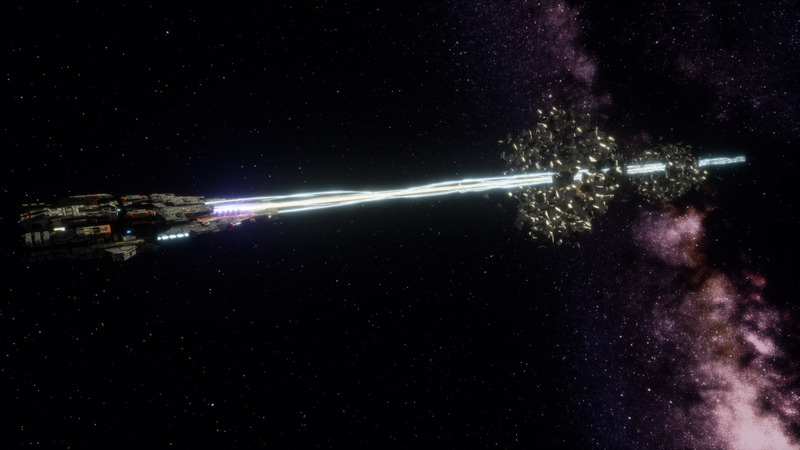 Also in this update we look at the new weapon pips in order to display where your weapons are aiming, allowing you to line up new large powerful fixed weapons such as the Railgun on the new Hyperion Corvette. To go a little more into depth with the new music system, we have adapted the similar system that we used in the Demo with transitions into combat, but now with FMOD, we have alot finer and easier control over the music blends (rather than fighting with volume levels directly via blueprint). This allows for our Sound team to make the perfect blends between PDI/Flight music as well to blend between the different intensities that are currently going on. We are also blending between 3 different states of Low (No threats detected), Medium (Threats detected, but no combat), and High (Combat). Along with these 3 states, we are ALSO blending in different instrument layers via distance to the Player. This extra layering that we’ve setup really gives the player that extra sense of intensity when getting close to combat as well as distances while inside combat. Starting with the synth layer, you will hear from different distances the additions of the orchestra and the percussion for that music track. This addition really adds a level of excitement as you close distances with your target, as well as provides an ease off the music track after destroying that closest target. Be certain to listen closely to the music in the video above. As we progress with development of the Mega-meteor features, we wanted to be certain that we provide the means of the strategy players to be able to take out the Mega-Meteor without requiring to hop into a fighter and plant a bomb inside. With that in mind, we developed the Railgun for the larger of the two current corvettes – the Hyperion. 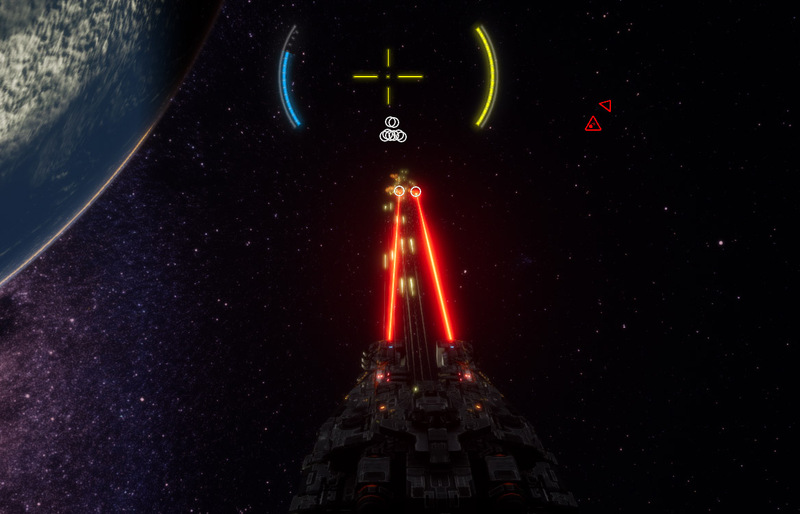 However, before we were able to develop a viable means of setting up “Fixed” weapons on vessels, we needed a way to show the player where their weapons were aiming in order to allow them to line up their shots properly. Thus we implemented the weapons pips. Different crosshairs displayed from the front of the weapons allow for quick and easy line up of these weapons to their target. Along with detecting proxies in front of them, you now know where these weapons are currently lined up and where they will fire. This definitely was required for weapons that were set in fixed positions (like fixed front facing heavy weapons) so you are then able to line up massive cannons like the Railgun to fire directly at your target of choice and know where it will end up. With the new weapon pips working for both gimbals and fixed weapons, the Hyperion was fitted with a massive railgun that is more powerful than most conventional weaponry. This massive cannon has amazing kinetic energy, enough so that it can pierce and rip through multiple convention meteors and keep on going. Of course coming at a high cost, the Hyperion and it’s advanced railgun is a devastating addition to any Solar Warden fleet. We thank you all for your continued support and we will see you on the next update. 0 Comments ON " Dev Update – Railguns and FMOD Music "